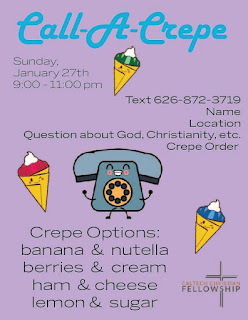 In honor of add day, we are making crepes this Sunday (tomorrow) and distributing them to the school (this is a special twist of text-a-toastie). Come help out starting at 8pm in Lloyd Kitchen. We'll start delivering at 9 and be there until 11. So if you can come for all or part that'd be great. 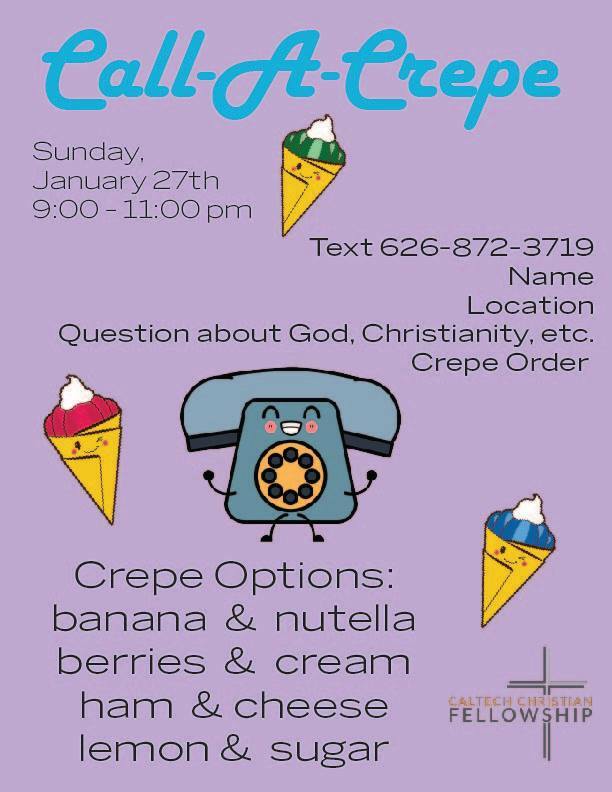 See y'all there and let your friends know to text us!